These bags are soo roomy and have pockets galore! The triangle shape of these bags gives you room to hold taller items in addition to books, binders, or clothes. Mesh pocket on the side is a great place to keep your cell phone or pda. 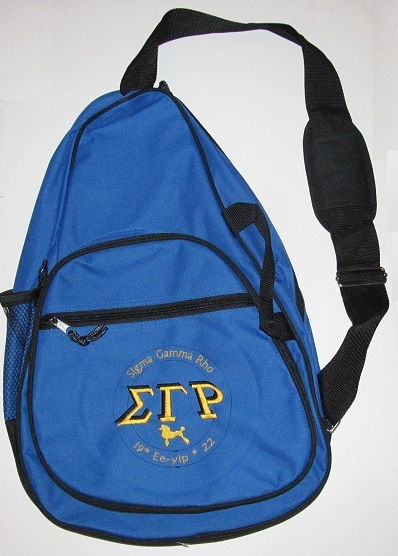 The padded sling strap makes the bag comfy and easy to carry or use the side handles! Available in blue or black (shown), with rose or poodle.